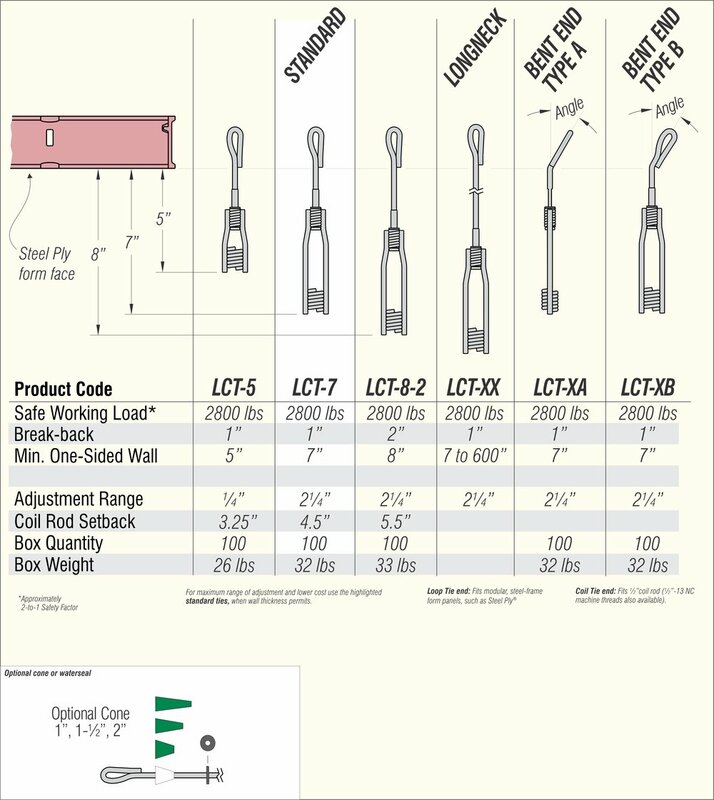 Steel Dog® Turnbuckle Loop-Coil Ties™ provide a first in the concrete forming industry: a way to adjust the length of a tie after it is in place and attached to the formwork. Like the industry-standard LC Loop-Coil Ties, LCT Turnbuckle ties provide a convenient connection between Steel Ply formwork and 1/2” coil rod, for one-sided forming, adjustable-length ties, blind-side forming, etc. Turnbuckle Loop-Coil™ Ties provide a simple and low-cost solution for securing formwork to existing structures for one-sided forming. They can eliminate additional hardware and labor over other methods. Steel Dog® Turnbuckle Loop-Coil™ Ties and Rebar Hooks provide a fast and low-cost way to use Stay-Form® stay-in-place expanded metal mesh to form blind side walls (where clearances on one side are too tight to allow for removal of reusable forms). 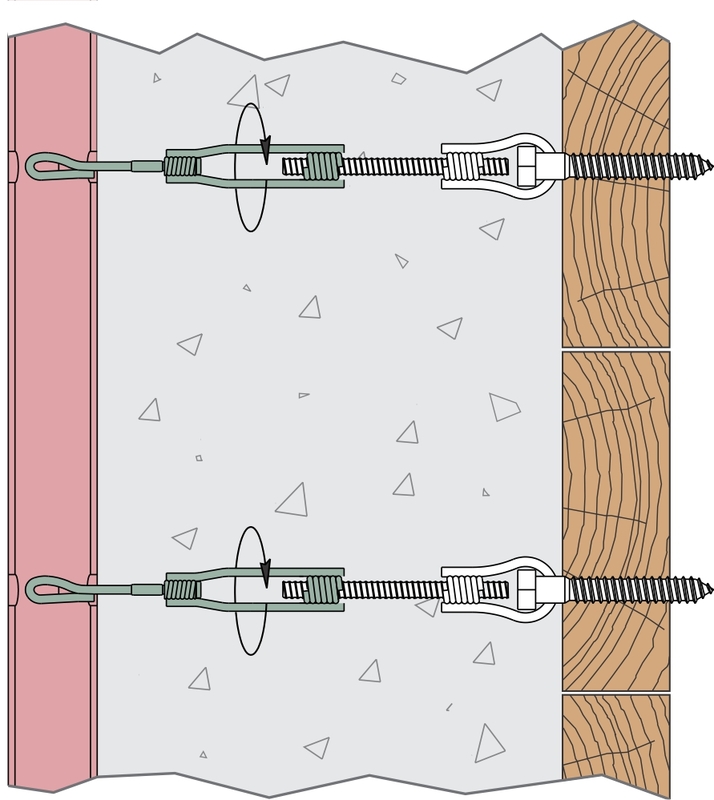 Factory bent LCT-7's can be used to shore up formwork from inside the wall when used with an AnchorBar™ (AB-4). The turnbuckle feature is almost essential for bent end ties, as they can easily be adjusted after being installed. Post setup adjustment with a "fixed" loop coil tie would require disassembly of the forms.